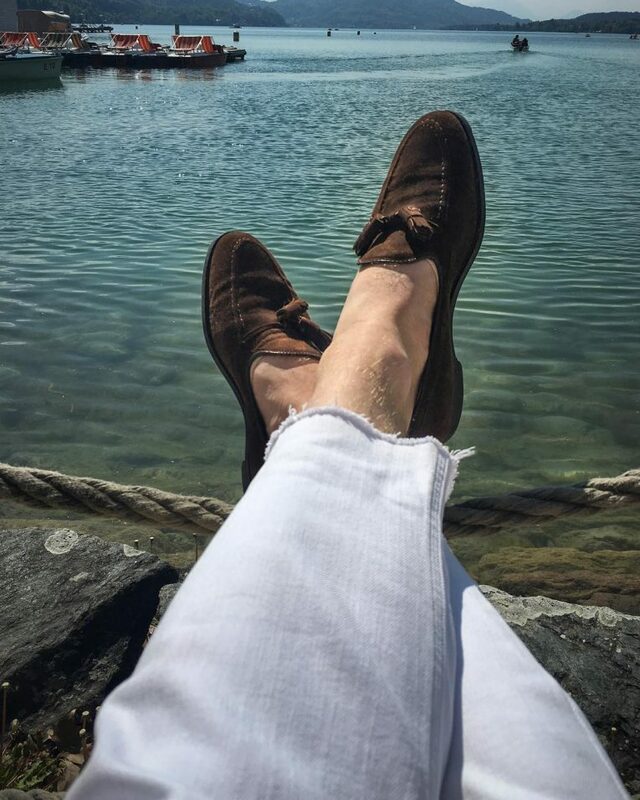 Tassel loafers are among the oldest men footwear that still looks youthful, relevant and timeless. 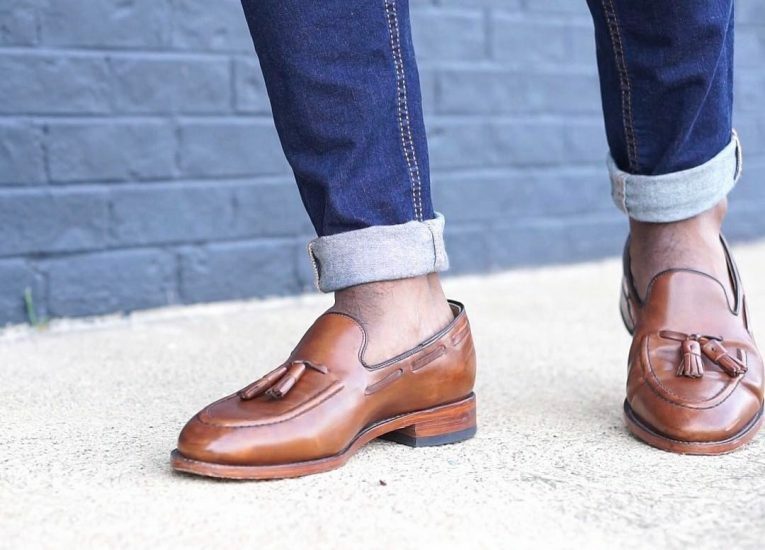 Whether you know tassel loafers as slip ons, penny loafers of even moccasins, this is footwear that every man must have in his wardrobe. 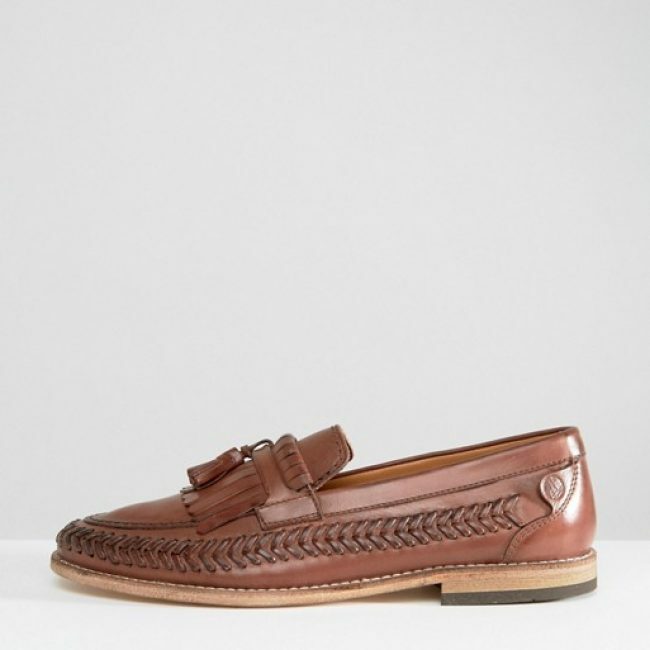 Tassel loafers are the shoes that you can comfortably wear and dance the whole night without complaining. 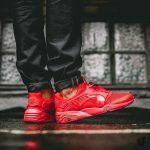 Most importantly, they can be worn with all sorts of clothes such as jeans and suits and look fabulous. 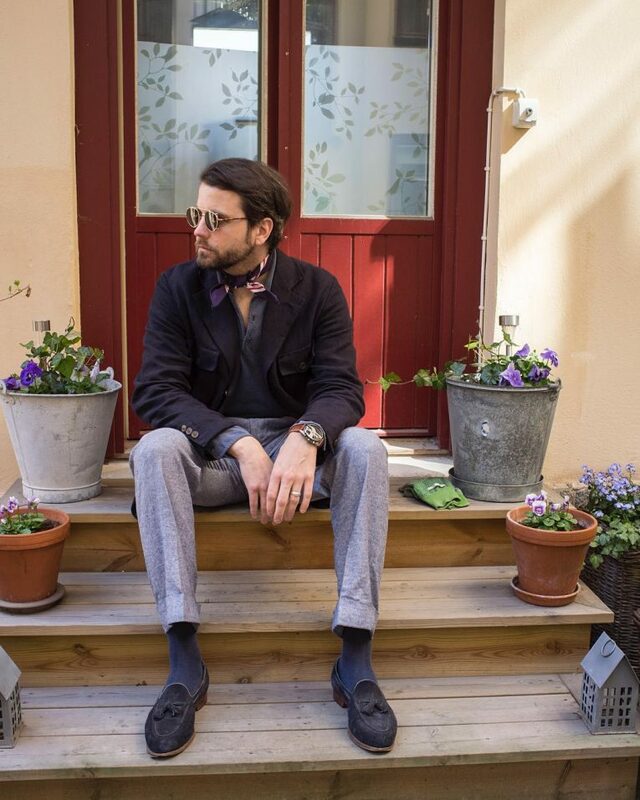 The following are 55 ways to style tassel loafers and look elegant. 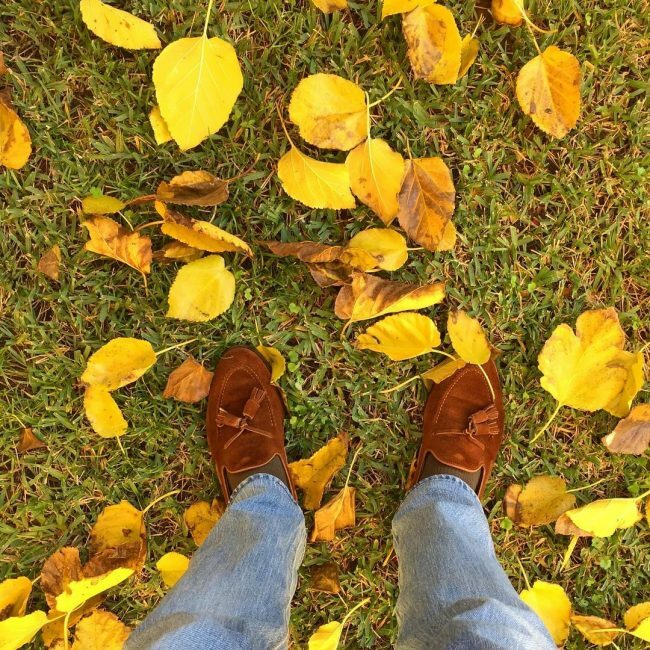 Styled brown loafers come out beautifully when worn with beige pants and completed with a black or dark brown socks, grey pullover, and a matching beige jacket. This is a superb casual wear for men who want to look fancy and attract some attention. 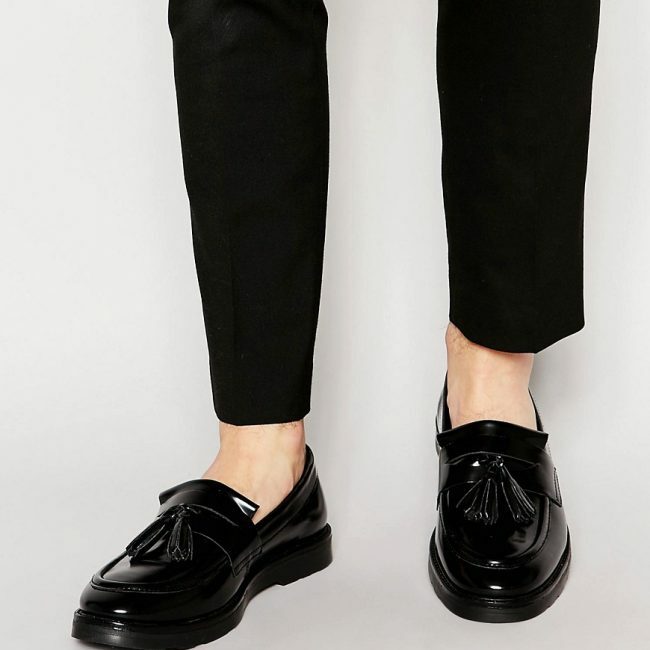 For men who like looking stylish and calm, black tassel loafers comes out beautifully when worn with grey trousers, light grey socks, a black or grey blazer and a light blue shirt. This is a cool weekend wear for men who want to look casual and maintain their official status. 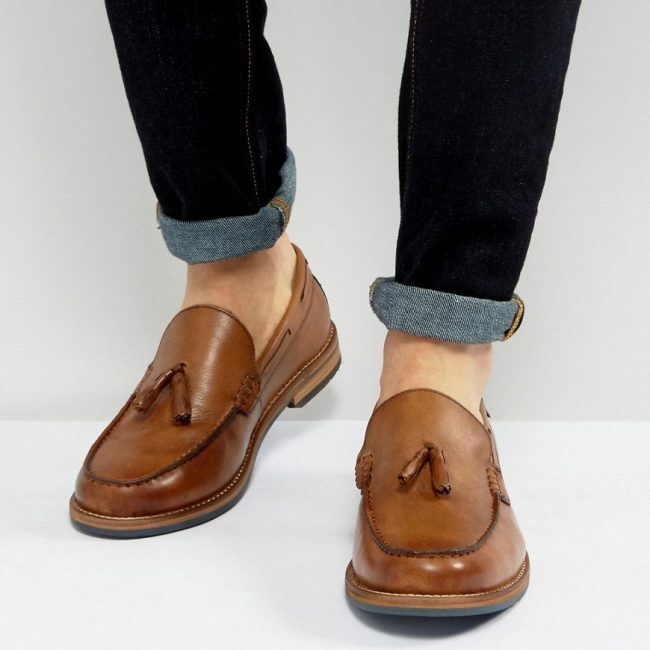 Brown loafers and fitting faded blue jeans is a super casual wear for men who want to look simple and elegant. 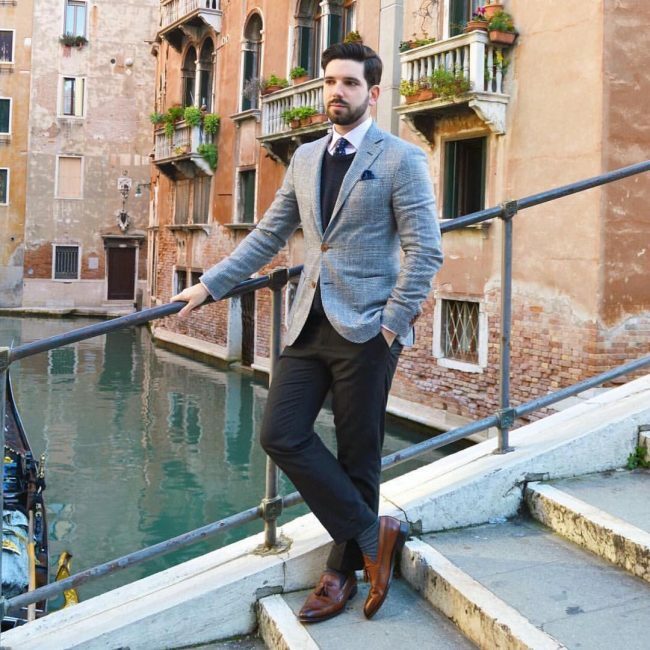 The style can be completed with a matching brown jacket and a checkered shirt to look fancy. 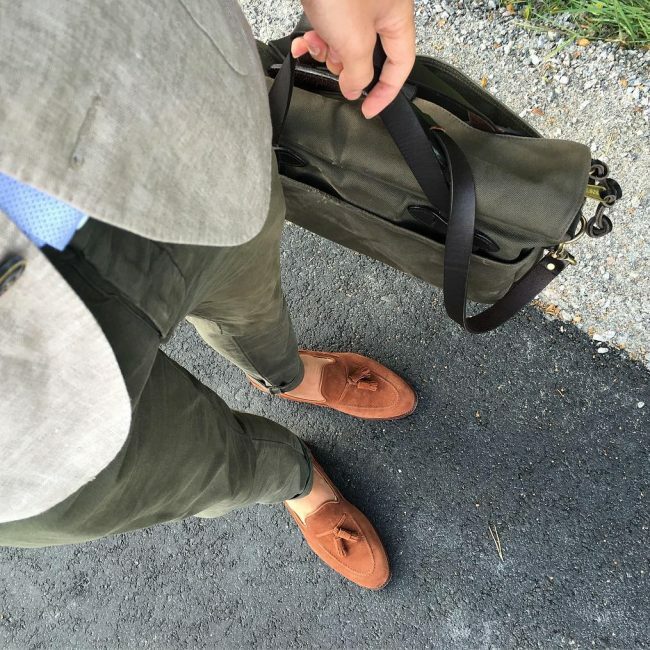 A brown suede loafer comes out elegantly when worn with jungle green pants completed with gray blazer and light blue dotted shirt. 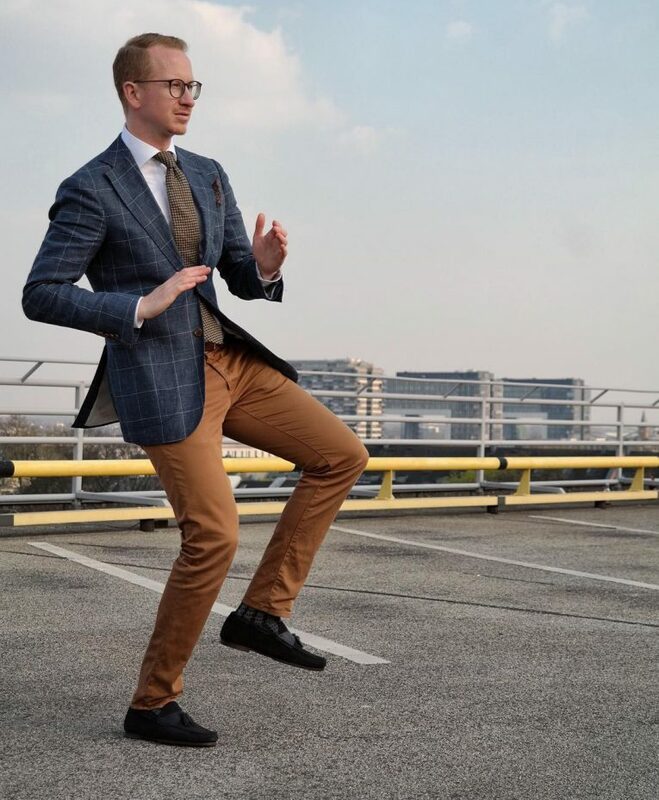 This is a cool casual wear for men who want to look elegant on non- official occasions and still maintain their official status. 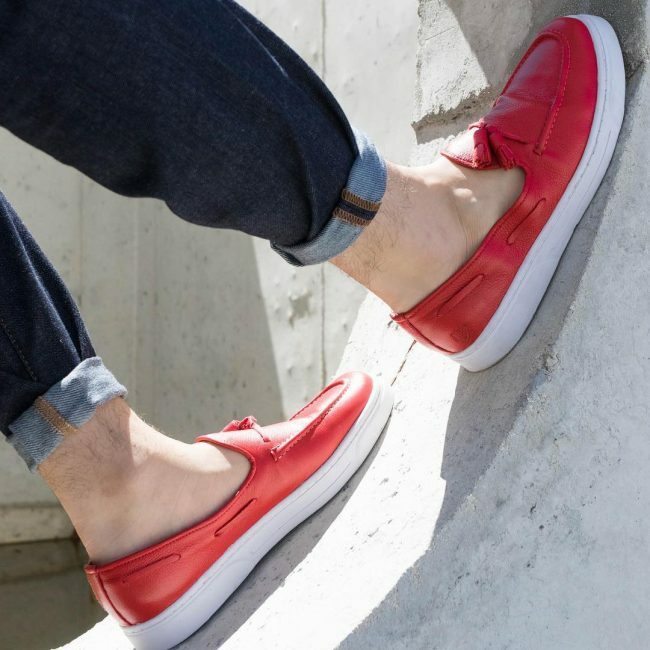 For men who love wearing outfits and attract some attention, red loafers looks super hot when worn with white pants and fitting white shirt. This is a lovely combination for sunny day outings and walks. 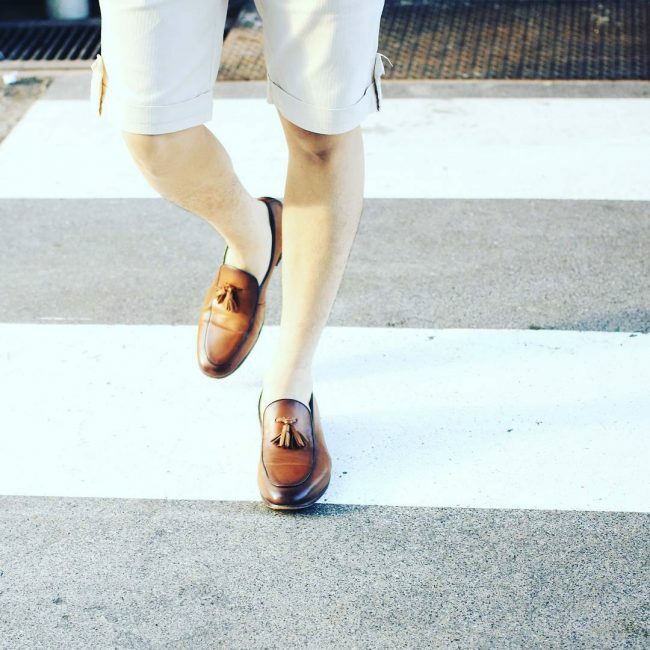 For men who love wearing shorts during weekends or when chilling with friends on a sunny day, dark brown loafers looks elegant when worn with a striped grey shorts completed with cream white polo shirt. 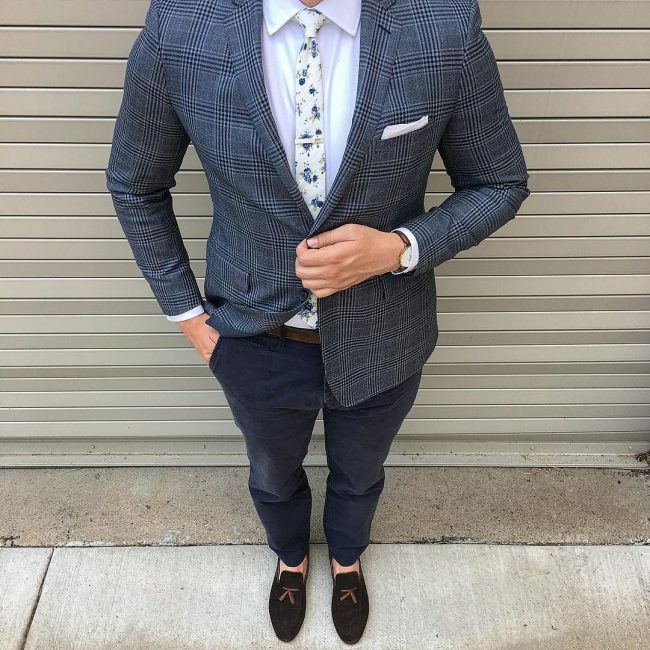 If you want to look fancy and unique among your friends, this is the style to go for. 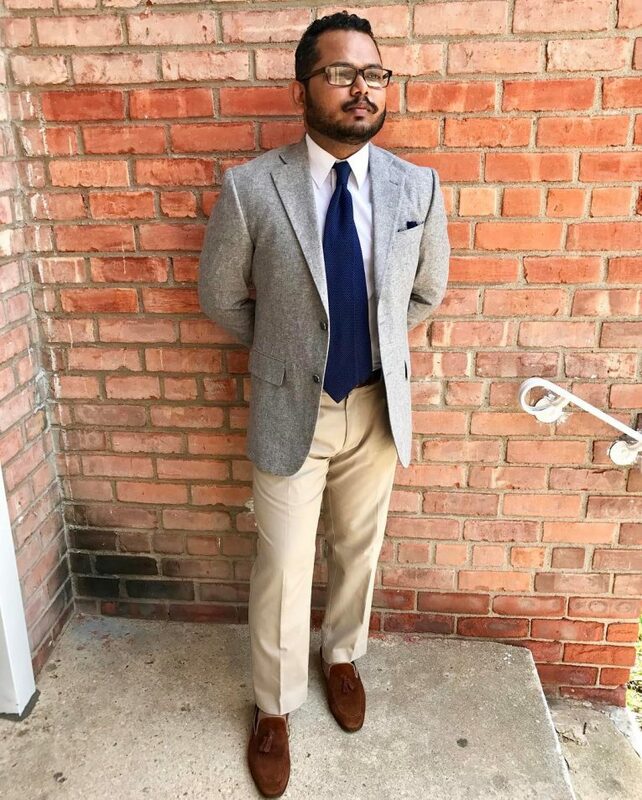 Brown tassel loafers can be worn with a grey-checkered blazer completed with a white shirt, black pullover, black trousers and a blue-checkered tie. 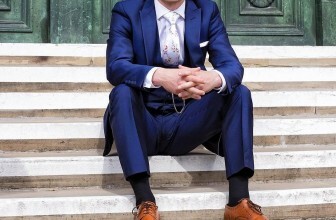 You can add a blue pocket square to spice your style. This is a fabulous semi- official outfit for informal occasions and when going to the office on weekends. 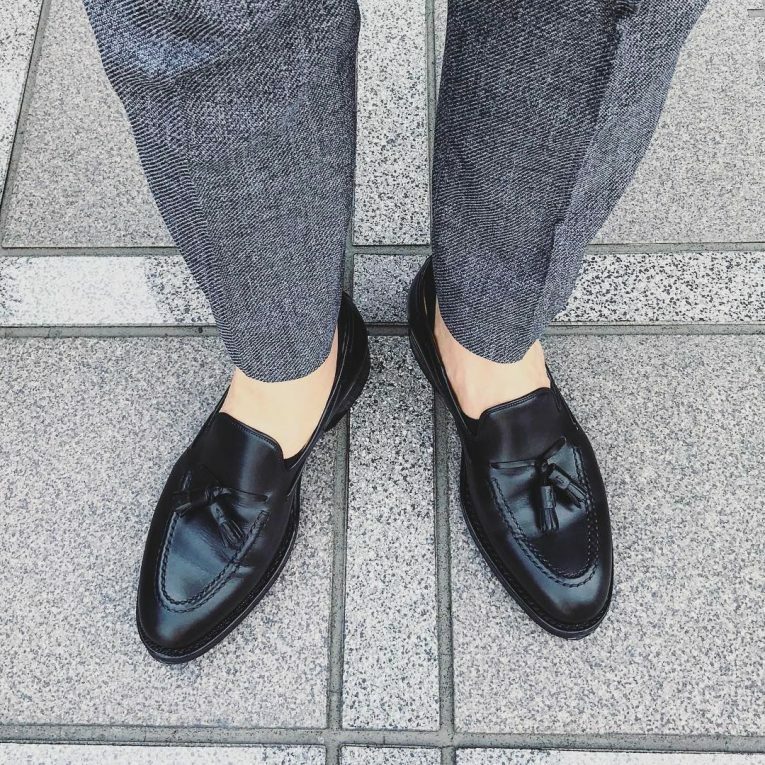 Black styled loafers comes out elegantly when worn with a black pants completed with brown socks, light blue shirt and a black or grey blazer or pullover. This is a lovely casual outfit for informal outings and dinner parties. 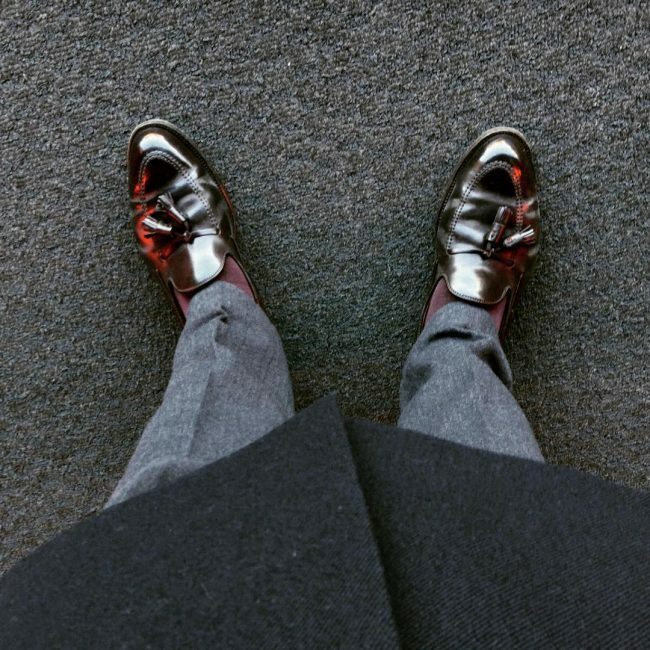 A combination of black- brown loafers looks fabulous when worn with a grey long coat completed with grey pants, brown socks and a cream white shirt. This is a cool casual wear for men who want to look trendy keep warm. 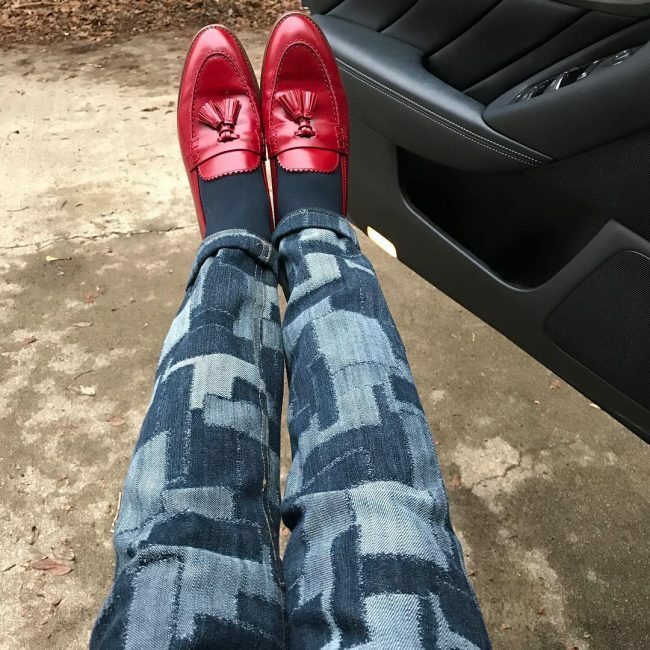 A combination of red loafers with checkered-jeans trousers completed with white T-shirt and a matching red or maroon blazer looks superb. This is a hot casual wear for men who want to look trendy and attract some attention. 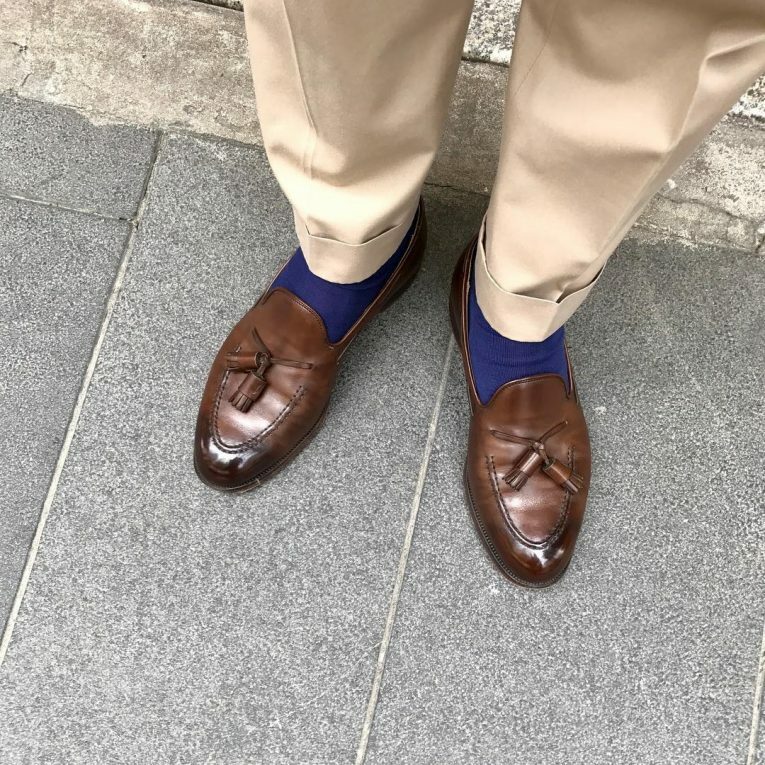 A combination of dark brown loafers and blue pants can be worn with blue pants, grey socks and completed with a grey jacket and light blue shirt or T-shirt. This is a cool combination of weekends when chilling with friends. 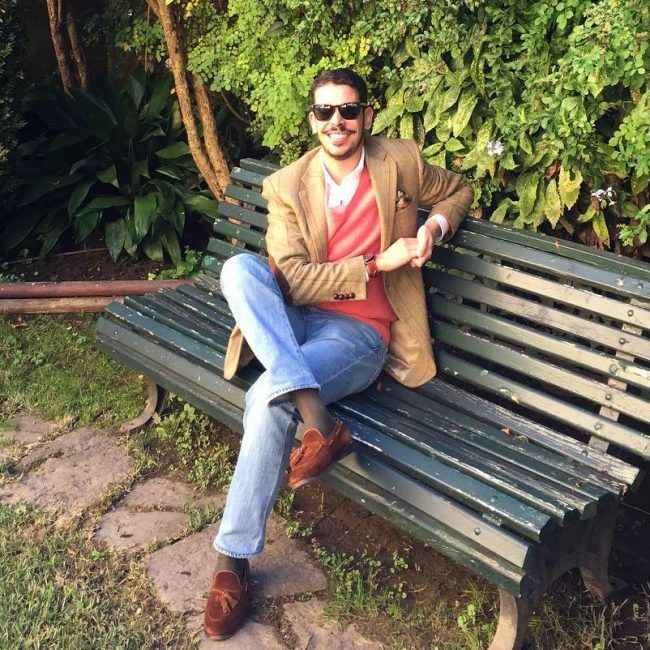 For men who love wearing sweaters on weekends and evening outings, brown loafers comes out beautifully when worn with a cream white sweater, cream white shirt and torn slim fit grey jeans. You can spice your style with cream white socks and look fancy. 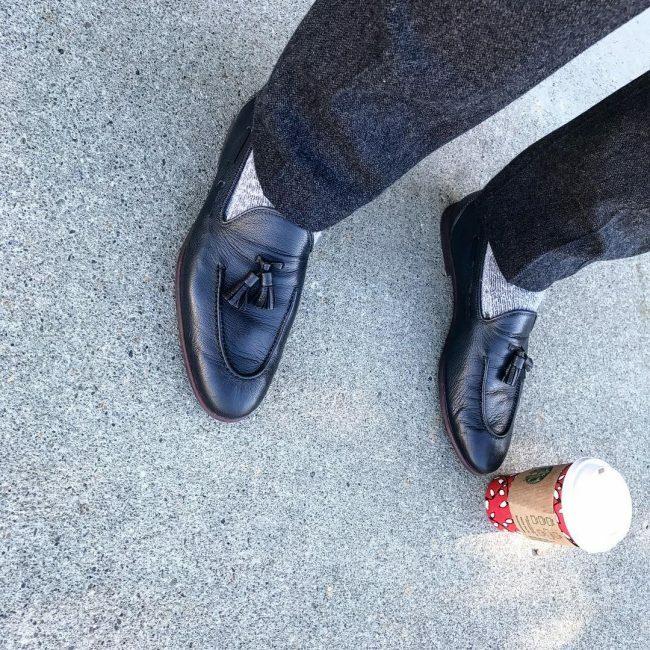 Black loafers and grey full-neck pullover completed with grey pants and matching socks is a super casual wear for men who want to look elegant and classy. The outfit is a cool combination for weekends and informal outings. 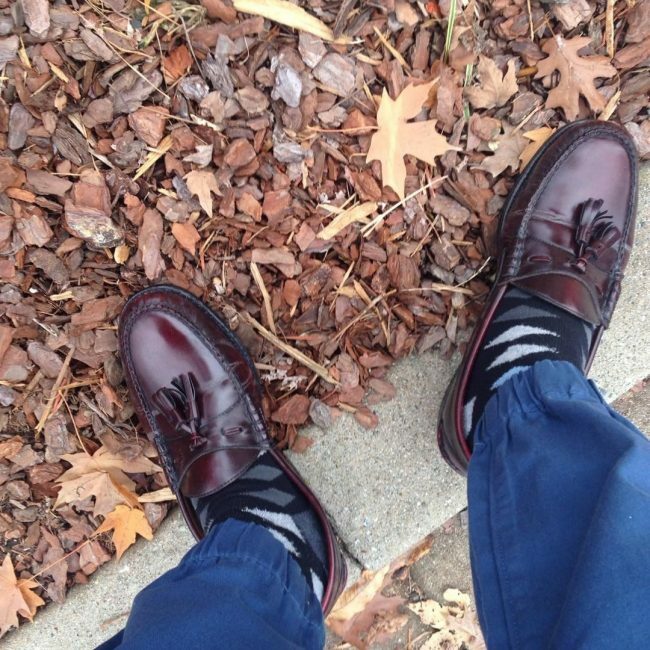 Dark brown tassel loafers can be worn with a long brown jacket and a faded blue jeans pants. The style comes out beautifully when worn with white shirt and a maroon sweater. This a fancy weekend wear when relaxing with friends on a relatively cold day. 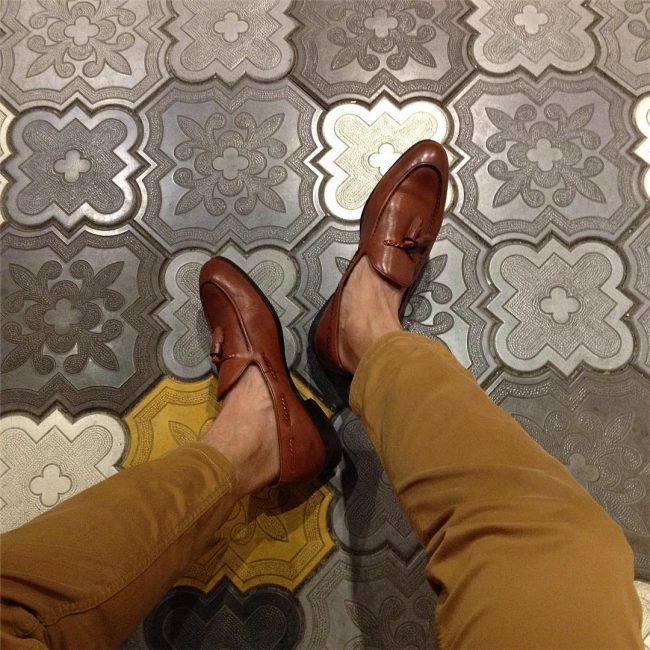 A brown loafer looks fancy when worn with fitting pants. 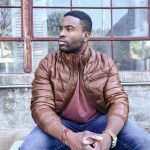 You can complete your style with a fitting grey blazer, checkered shirt and a slim fit maroon tie or a fitting brown blazer, white shirt and a checkered tie. You can even spice it with a blue undercoat. This is a lovely casual wear for men who want to look elegant and maintain some official status. 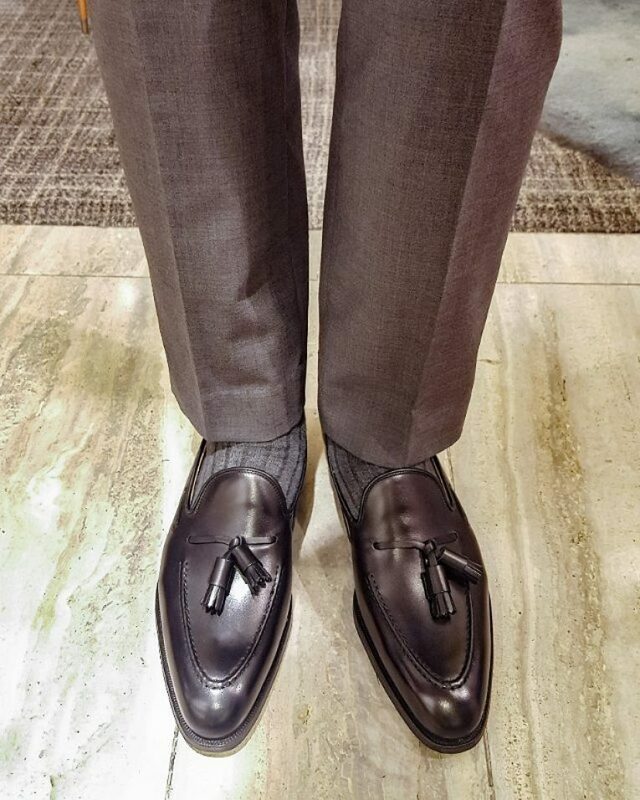 Black loafers can be worn with fitting brown pants, grey dotted socks completed with a matching brown pullover. This is a cool, casual wear for weekends when going out with friends. A combination of black suede loafers and blue casual shorts looks super when completed with jungle green pants. 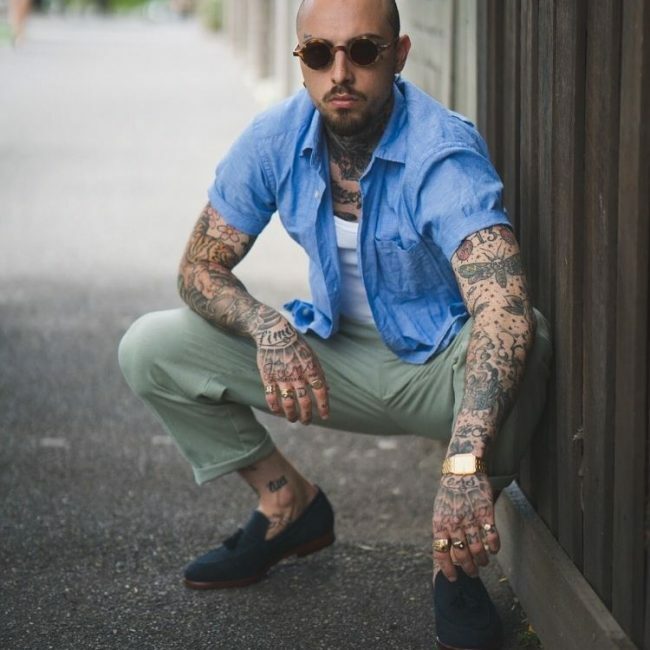 This is a hot casual wear for sunny weekends when chilling with friends for men who want to look unique and attract some attention. 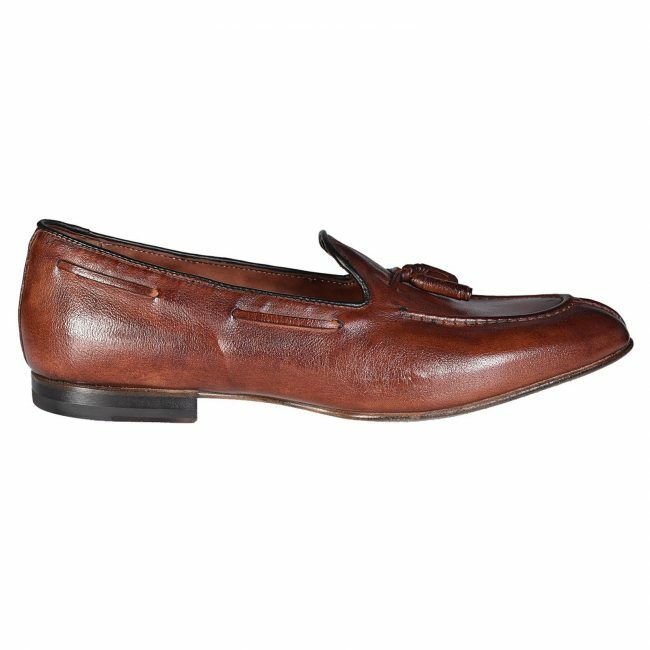 Maroon loafers comes out elegantly when worn with brown pants and completed with cream white polo shirt and a fitting grey blazer. This style can be spiced with a matching scarf and look fancy. 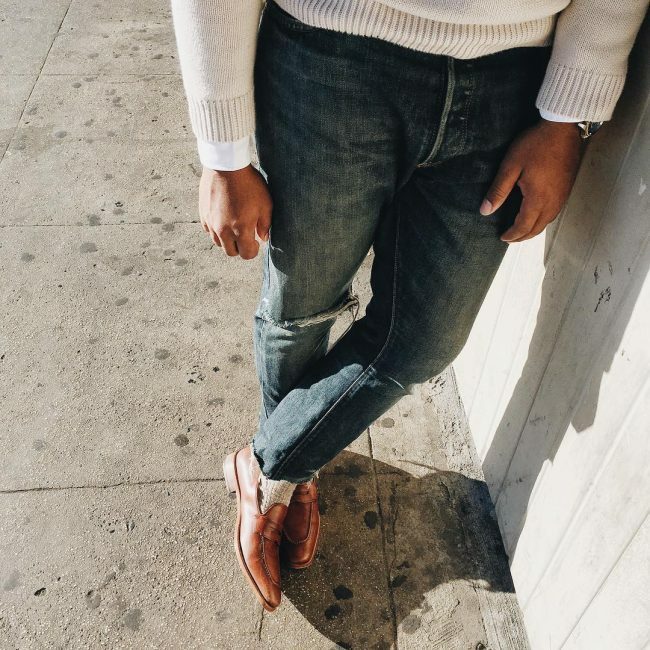 Brown loafers and grey sweater comes out beautifully when worn with fitting faded jeans pants with no socks. This is super hot casual wear when chilling with friends on weekends and other informal outings. 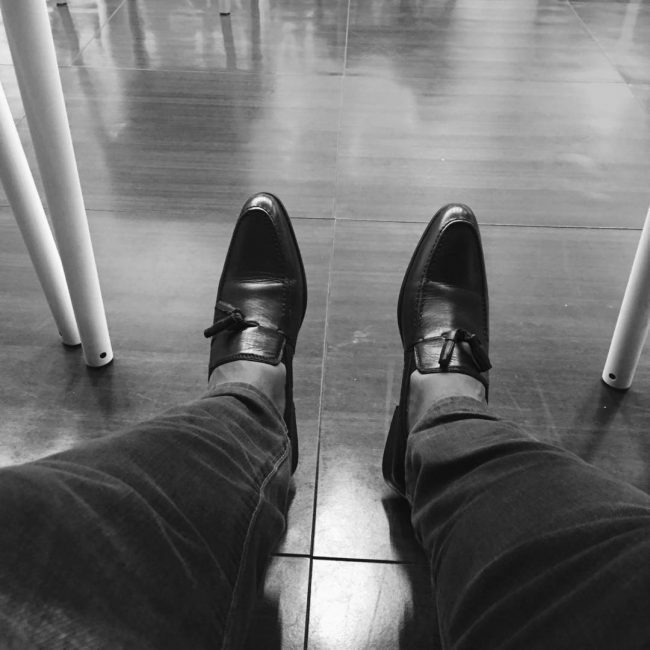 Black loafers looks nice when worn with a fitting grey checkered blazer completed with fitting grey trousers, cream white shirt and a matching tie. This is a super casual and semi- official wear that can be worn on informal occasions and a simple official wear. 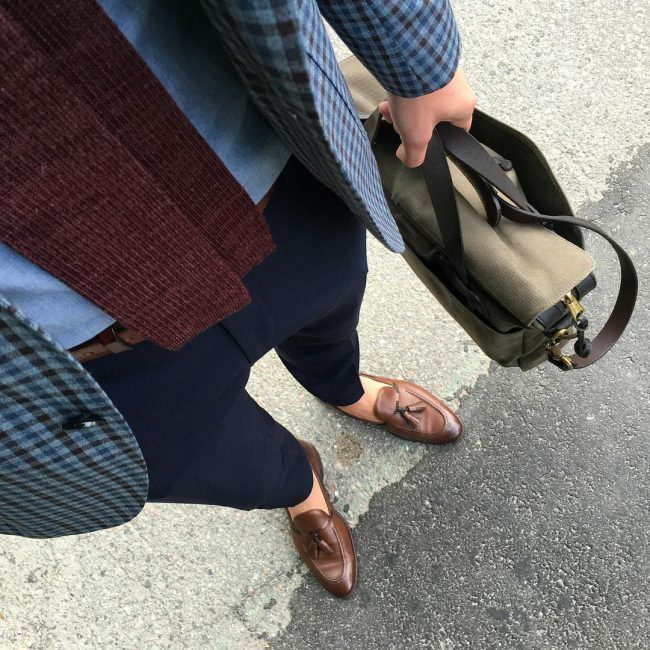 A combination of brown tassel loafers worn with a fitting grey-checkered blazer completed with blue pants looks fancy. 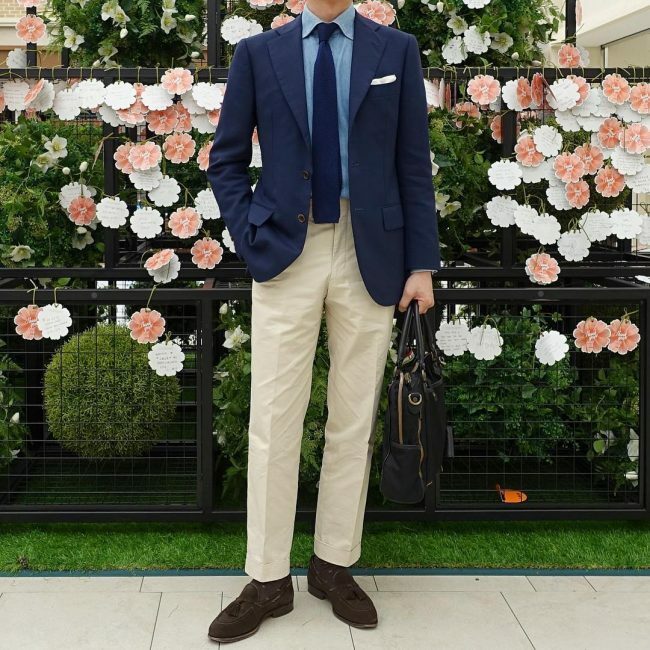 The style can be spiced with a light blue shirt and a light colored flowered slim tie. This is a cool casual wear for informal occasions and when going to the office on weekends. 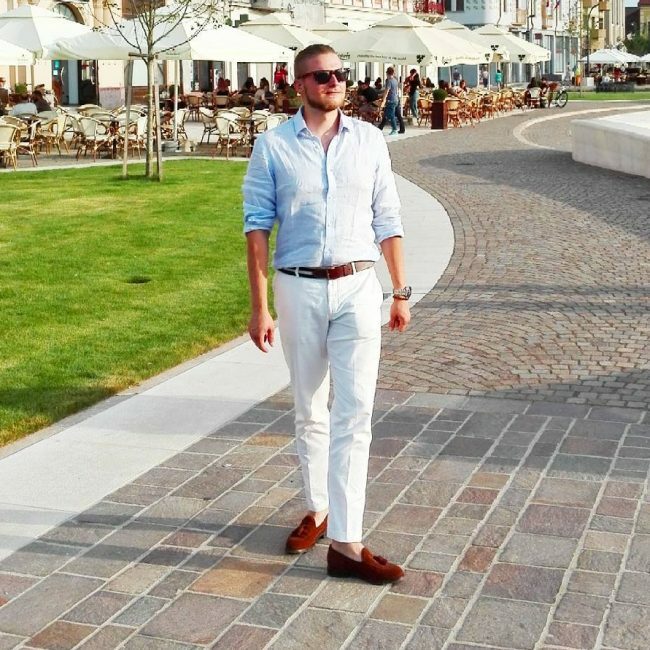 For men who love looking hot and unique on weekends or when chilling with friends, dark brown loafers comes out beautifully when worn with cream white designer shorts. The style can be spiced with a fitting cream white T-shirt or shirt and look superb. 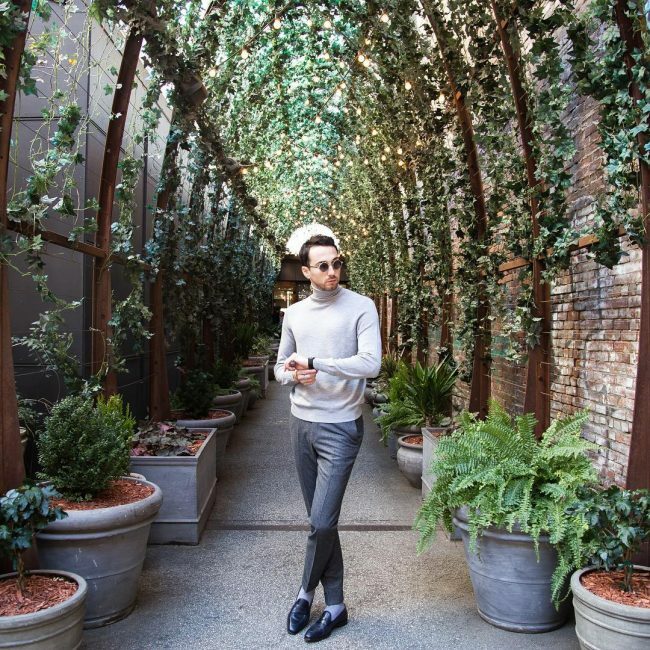 A combination of black loafers and a grey-checkered sweater looks super when worn with torn fitting blue jeans. This is a fancy weekend wear when chilling with friends when you want to be unique and attract some attention. 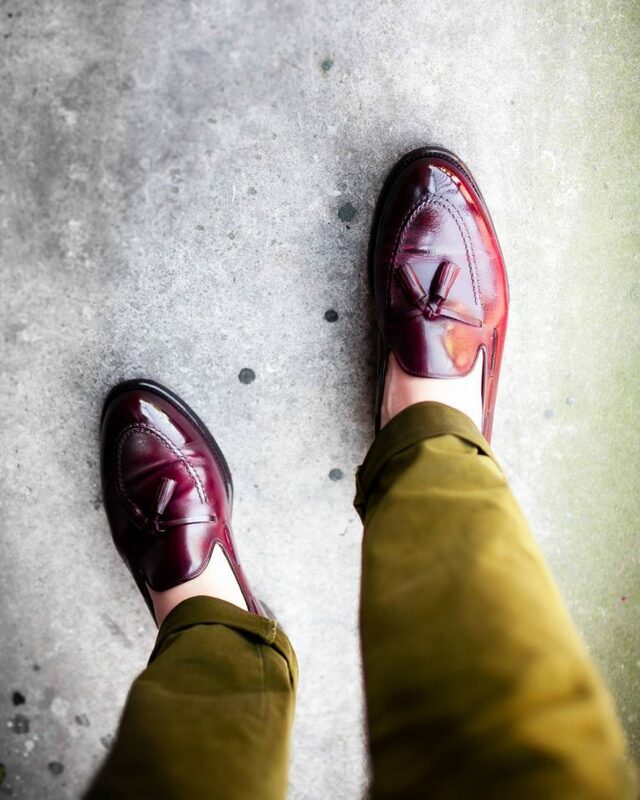 Red loafers look fancy when worn with navy blue jeans and completed with brown or red T-shirt. This is a super hot casual wear for men who want to look fancy and attract some attention. You can wear this outfit when going out with friends. 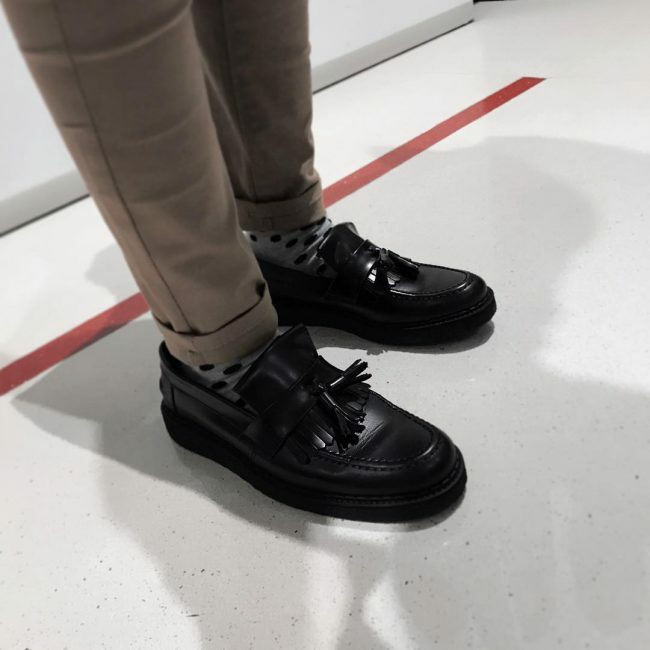 Black loafers comes out elegantly when worn with fitting grey jeans completed with a cream white shirt or light blue shirt and a matching grey blazer or a grey pullover. This is a fabulous outfit for weekends and a simple official wear during weekends. 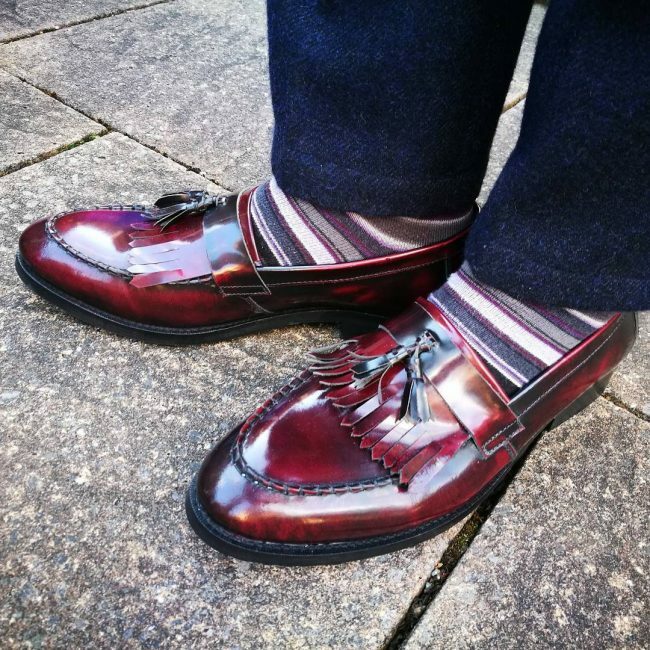 Red-brown loafers can be worn with a matching blazer completed with grey pants, white striped shirt and yellowish tie. The style can be spiced with a red-brown hat and look superb. This is nice weekend wear for men who want to look classy. 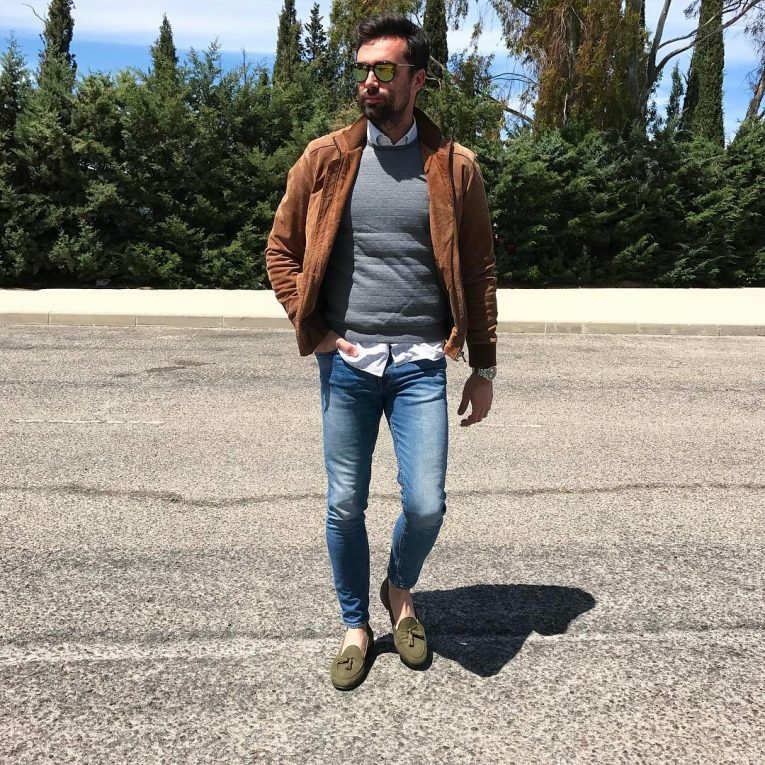 A combination of brown loafers and long green coat comes out beautifully when worn with a fitting light blue shirt and white pants. This is hot weekend wear for men who want to look unique and attract some attention. The outfit is suitable for informal outings or weekends when chilling with friends. 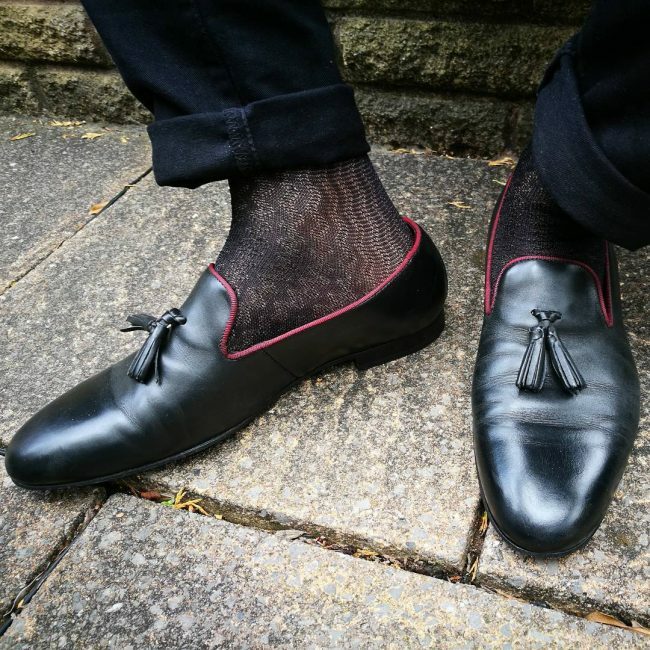 Try out these black suede loafers to make an impression. The shoe shape is rather basic but the shiny leather tassels definitely add extra sass. 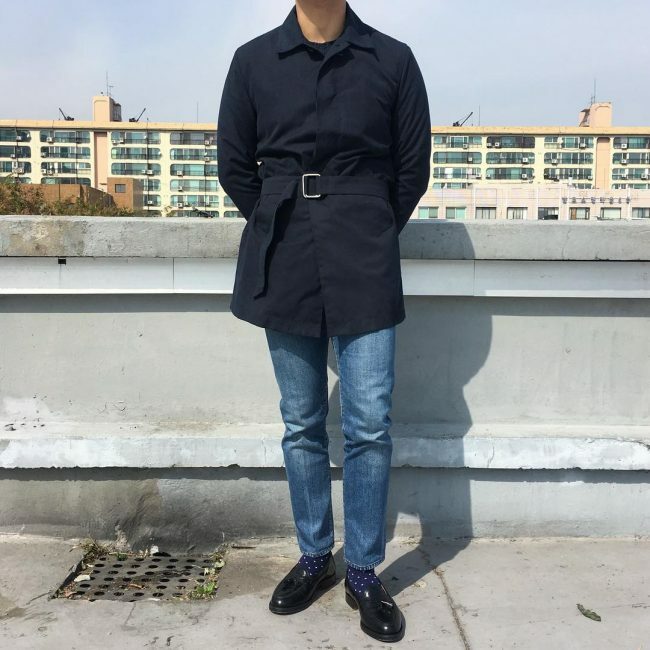 Black loafers looks lovely when worn with a long navy blue coat and completed with a slim fit faded blue jeans and a matching navy blue T-shirt. This is cool wear for men who want to look simple and elegant on weekends. 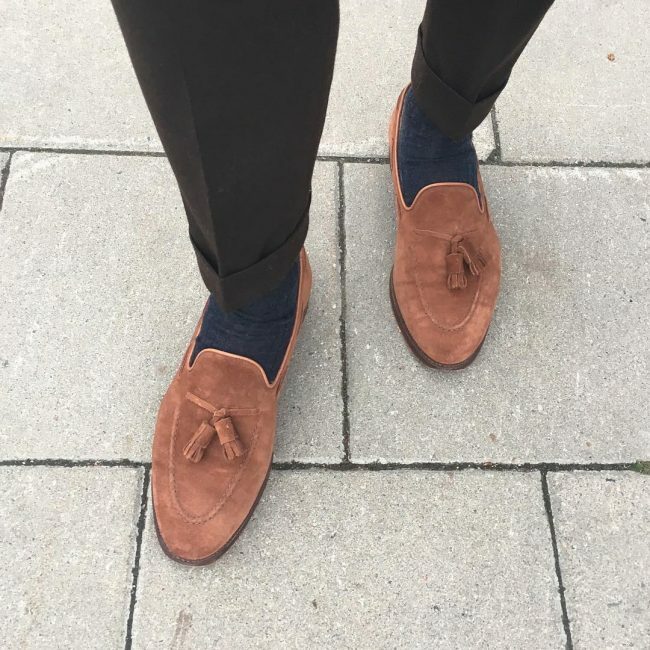 Brown suede loafers can be worn with black trousers, navy blue socks and completed with a cream white shirt and black or grey blazer. This is nice casual wear for weekends, casual outings and informal occasions. 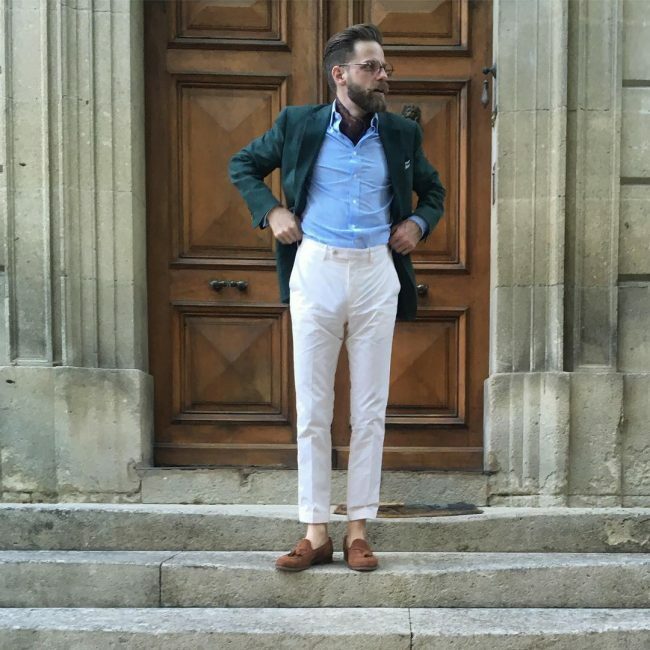 For men who love wearing casual suits, Jungle green suede loafers comes out beautifully when worn with a cream white suit and cream white shirt. 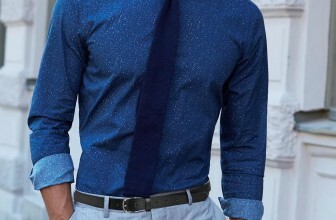 You can spice your style with a dotted blue tie. This is a fancy summer wear for men want to look hot and attract some attention. 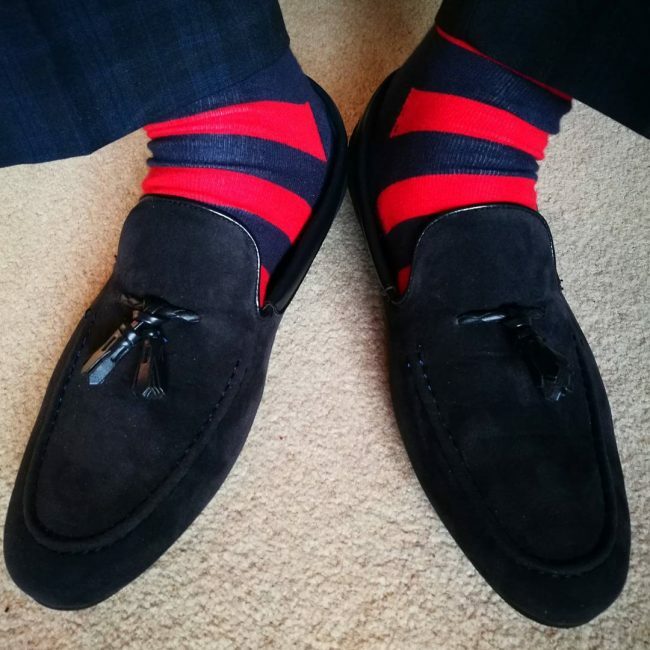 A Red-black loafer comes out beautifully when worn with a navy blue suit and completed with a light blue shirt. 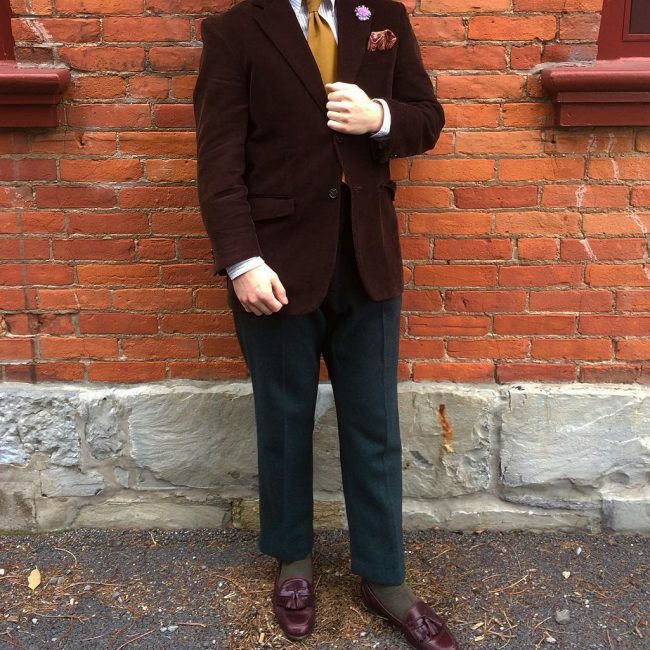 You can also spice your style with brown-striped socks, flowered tie and a grey cardigan. 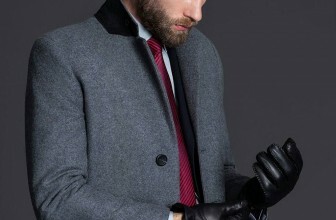 This is cool casual wear for men who want to look elegant and stay warm. 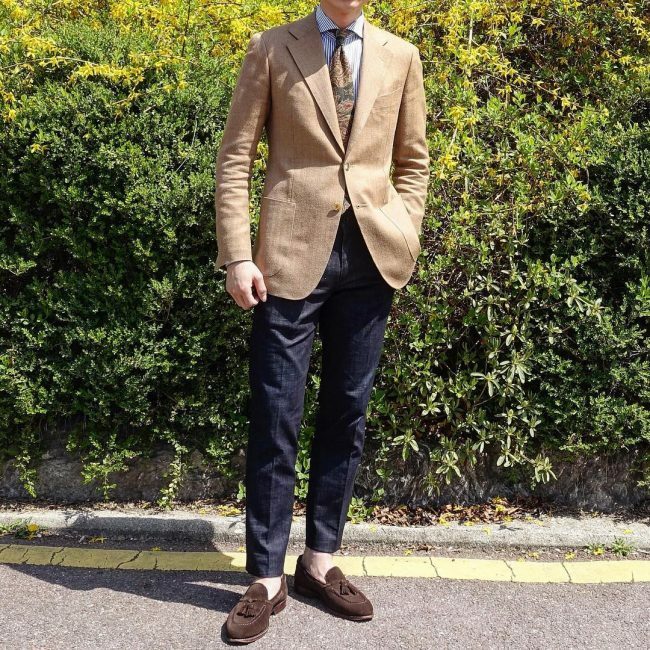 A combination of dark brown suede loafers and brown blazer looks super when worn with a blue trousers, light blue striped shirt and brown flowered shirt. This is a fabulous wear for weekends and informal occasions for men who want to look elegant maintain their official status. 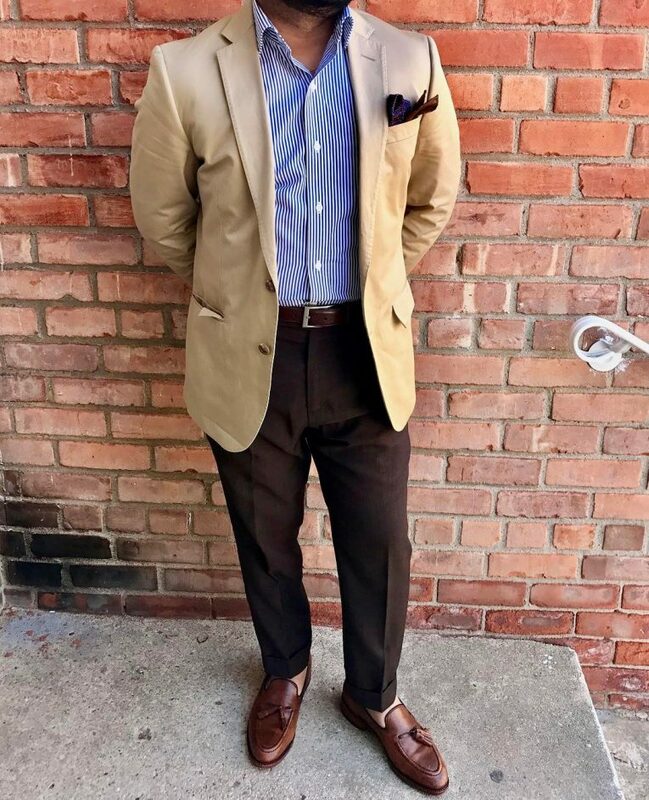 Dark jungle green suede tassel loafers comes out beautifully when worn with a blue blazer completed with light brown pants, light blue shirt, and a matching navy blue tie. 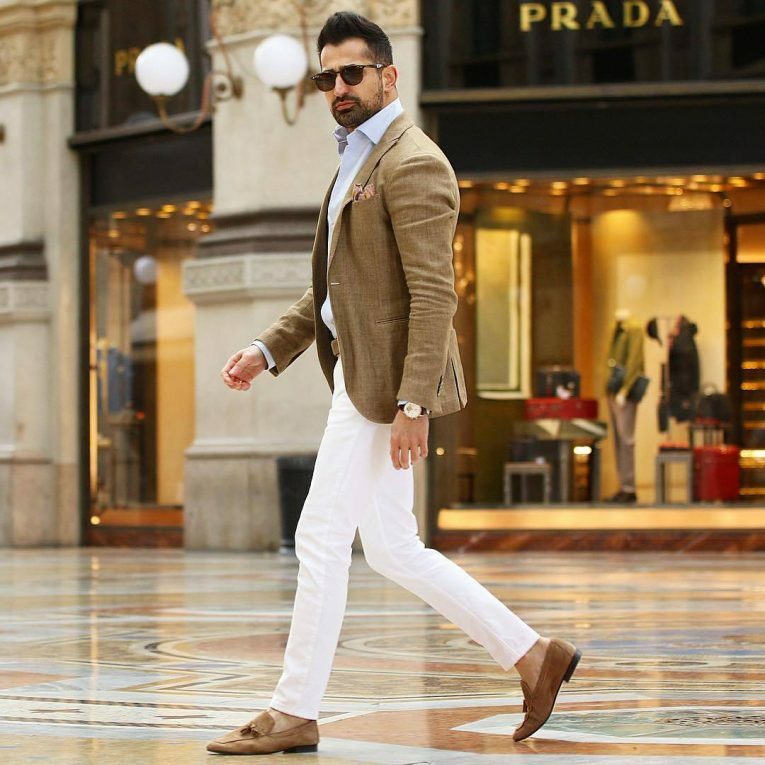 You can spice your style with a cream white pocket square and look superb. This is a fancy combination for weekends and informal occasions. For men who love wearing casual suits on informal occasions, dark brown loafers looks classy when worn with a strong blue designer suit. 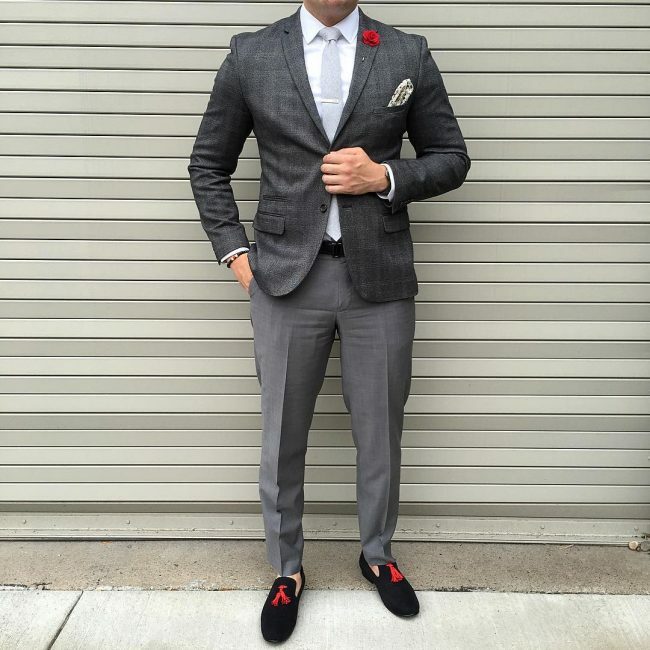 This is a hot outfit for men who want to look unique, expensive and attract some attention. 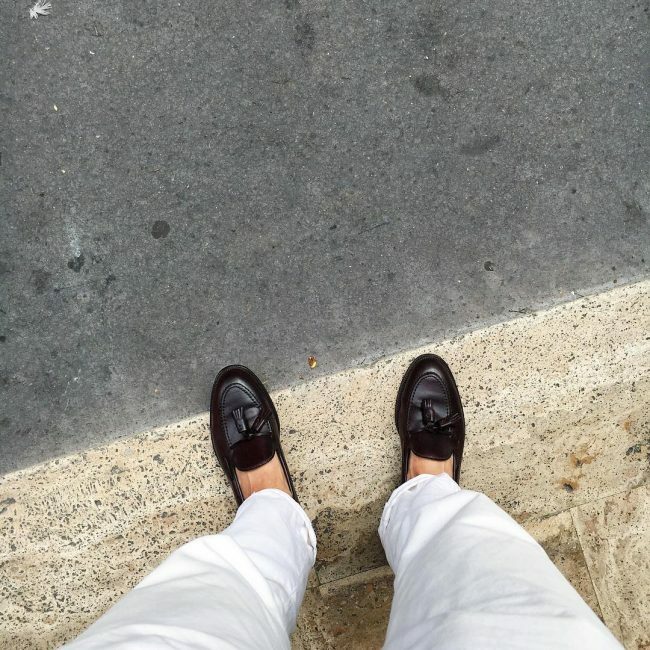 A black loafer comes out elegantly when worn with white pants and completed with a cream white pullover and a grey blazer. This is a stunning weekend wear or free time when chilling with friends and informal outings. 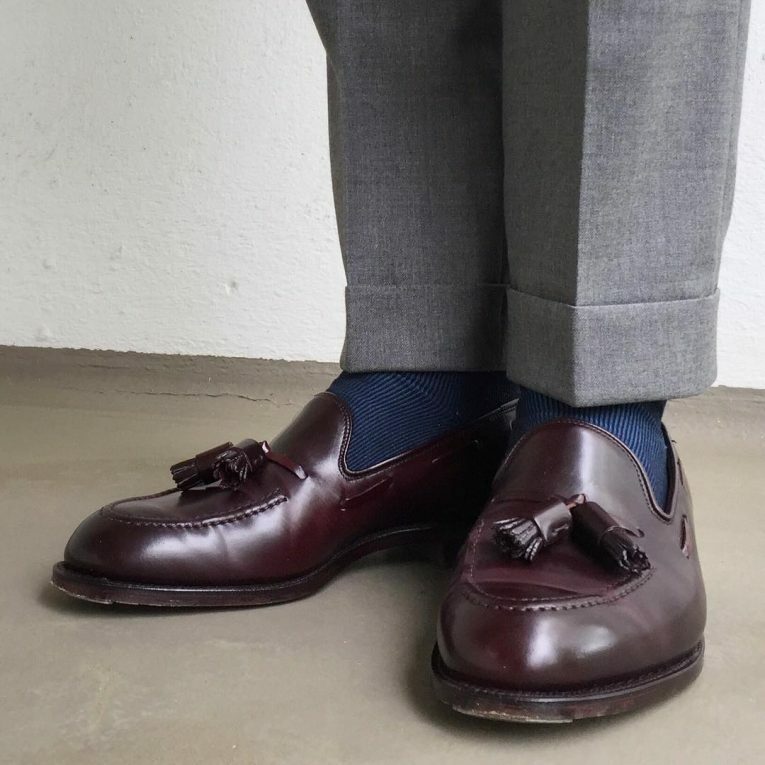 Red-brown loafers looks fancy when worn with a slim fit grey suit and completed with a blue shirt and a matching navy blue tie. This is hot casual wear for important occasions such as weddings and official parties. 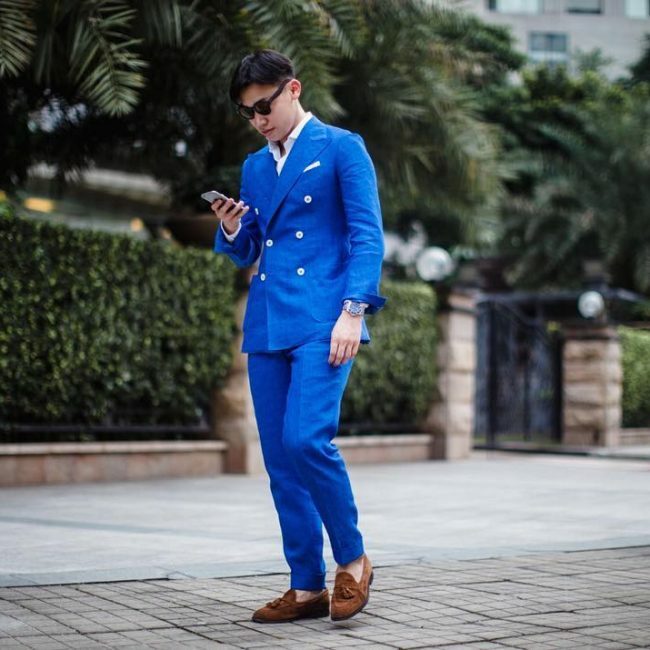 For men who love wearing casual suits and maintain their official status, this is the style to go for. You can spice your style with a blue pocket square and look stylish. 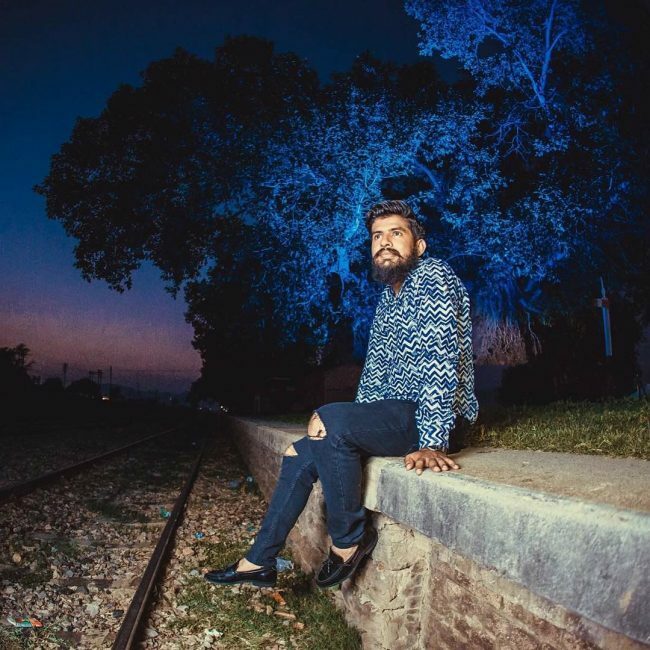 A dark brown tassel loafers comes out beautifully when worn with a blue-checkered blazer and completed with navy blue pants and a light blue shirt. The style can be spiced with a brown scarf to look fancy. This is a nice casual wear for men who want to look hot and presentable. 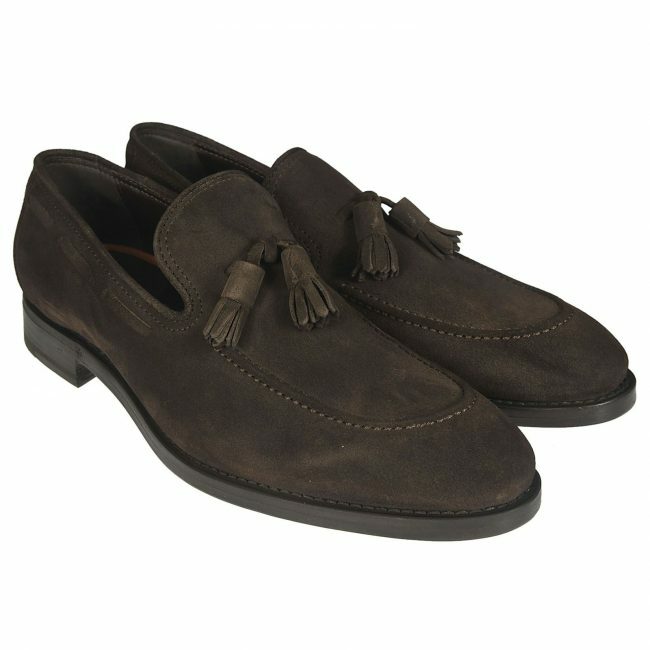 Dark brown suede loafers look superb when worn with grey pants, cream white shirt, a checkered tie and clashed with a green suit coat. 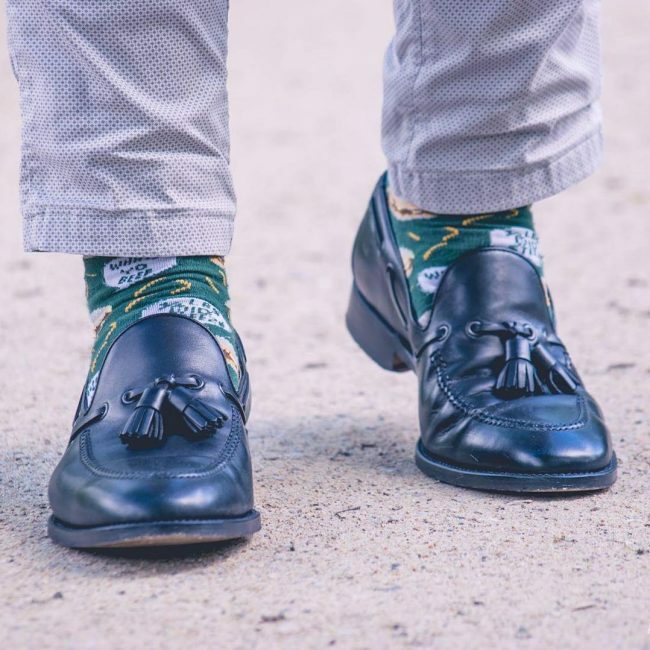 You can also spice your style with green socks and colored pocket square. 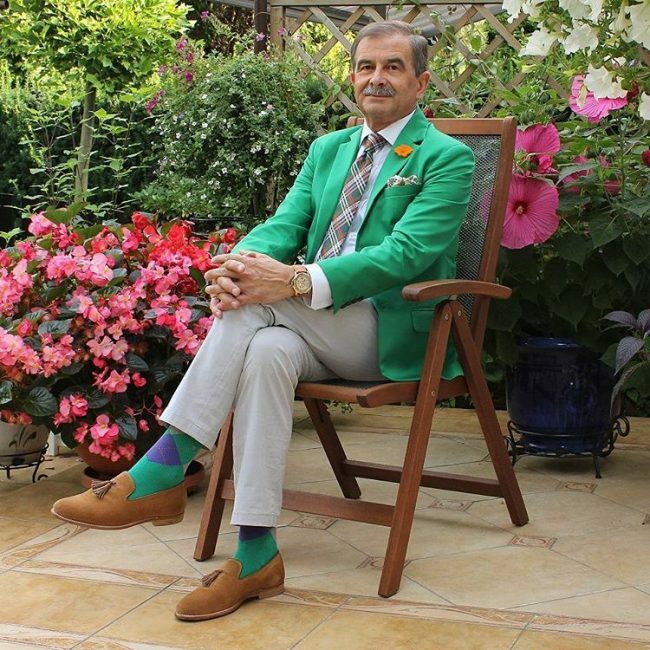 This is a cool casual wear for elderly men who want to look fancy and mature. 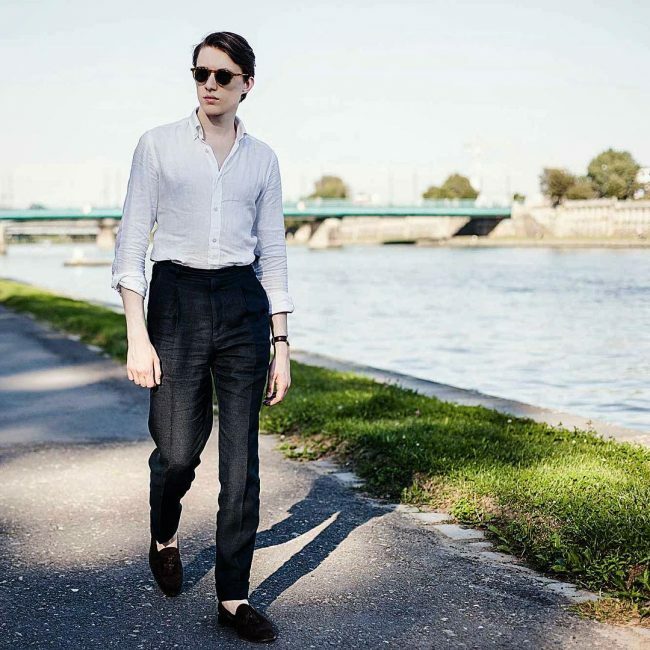 A combination of black suede loafers comes out beautifully when worn with a cream white casual shirt and completed with grey or black pants. This is a hot casual wear for weekends and informal outings for men who want to look simple and elegant. 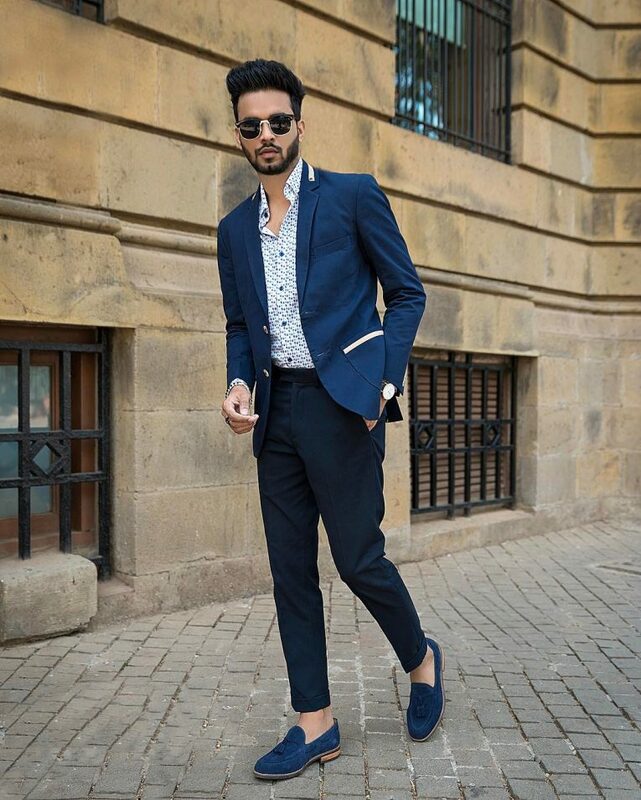 Generally, tassel loafers is a cool footwear for men that can be worn with both official and casual outfits and look stylish. 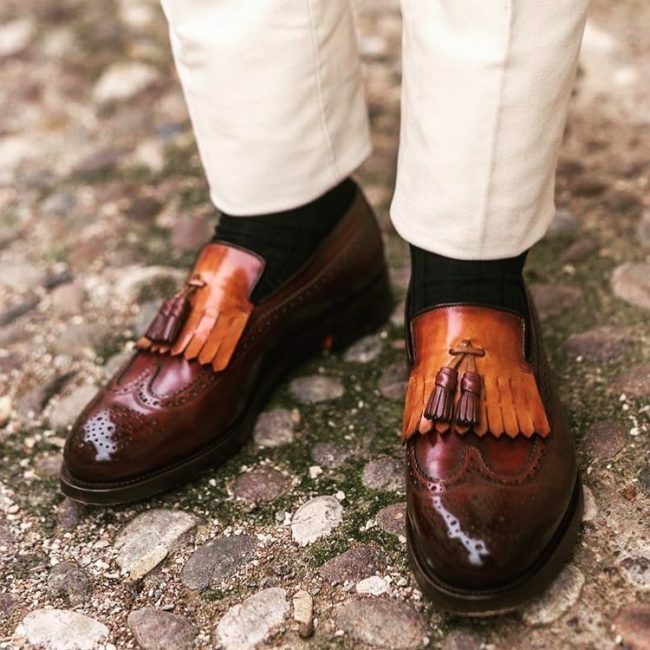 However, it is good to consult a stylist on how to choose the best tassel loafers color combination for different occasions. 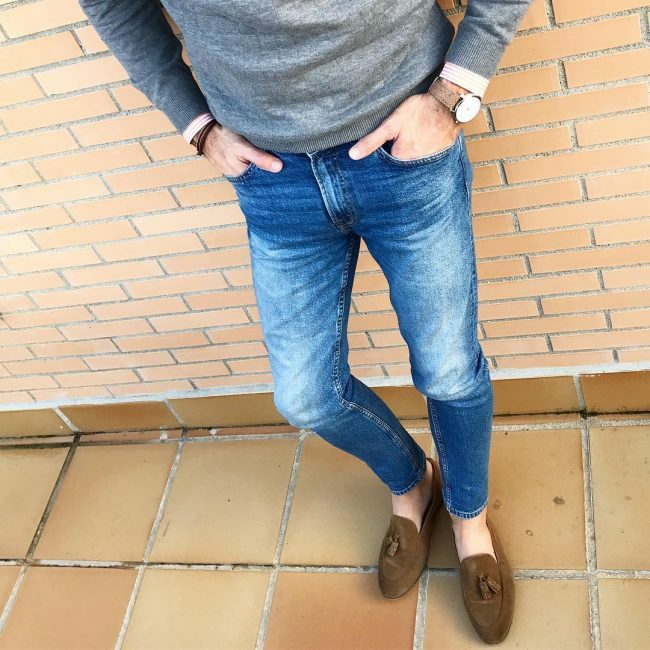 It is also worth noting that tassel loafers are available in a wide variety of colors and you need to choose the right color match for your clothes to get good results.